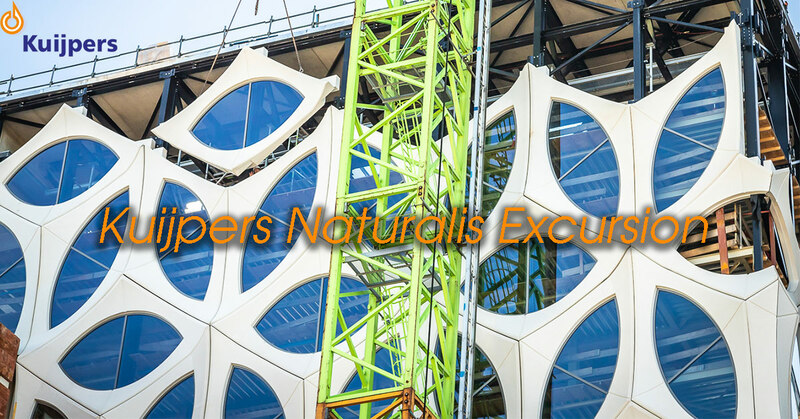 On the 26th of February we are organizing an excursion to Naturalis Biodiversity Center in Leiden. Kuijpers is currently helping with the (re)build of existing buildings, a museum and a laboratory building. The excursion will start in the morning and will end in the early afternoon . During the day we will get a short presentation about Kuijpers and the project from where we will visit the project. Afterwards Kuijpers will provide lunch. 10:00 am Reception of students by Wouter Flach, John of Kuringen, Milly van Niftrik. Catering: coffee, tea and some goodies. 11:15 am Guided tour and explanation in technical room. Kuijpers is a professional technical service provider with over 800 employees. What they do is design, build and maintain technical installations in buildings and industry. Real people work at Kuijpers and they come up with real solutions. For example when it comes to energy efficiency and safety. They are a family business and contribute to a healthy environment in which it is pleasant to work, learn and live. They like to have a personal relationship with their employees and relations. Together they develop themselves to bring out the best in each other. That involvement leads to results. Lunch will be provided, if you have any dietary requirements, please reply to the confirmation mail before the 19th of February. Make sure to bring your ID/passport. Bring your own safety shoes, if you don’t have any please let us know before the 19th of February. Please reply to the confirmation mail if you have a car available that day to transport yourself and some fellow students. You will receive a compensation of €0,19/km (Eindhoven-Leiden-Eindhoven).